The argument that traders contribute nothing to society is completely off-base. For one, they contribute liquidity to the markets. For another, they contribute value to their own lives and the lives of those around them by making the best of themselves. 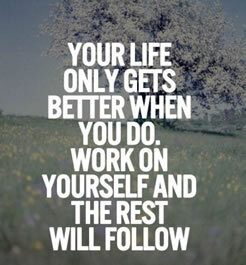 Traders who make good trading decisions are bringing out the best in themselves day after day. These traders become profitable, and contribute financially to the lives of those around them. Traders who make bad trading decisions on the other hand bring out the . Here are 7 ways that trading well can make you a better person, and allow you to contribute value to your family, social circles, and society. If you become a trader and you end up around it, you will have discovered a way that you can take care of yourself and your family financially. You will not be relying on public assistance, and you will be paying pretty hefty taxes (if those taxes do not contribute to society, I have no idea what does). You will also free yourself from a 9 to 5 job system which frankly does not contribute to the lives of any but the rich executives on top. You will no longer be making money for someone else and taking home a minimal salary for your family. The money you make will directly support you and those you love. And at the same time, you will set an example for others, saying there is another way to live. A good trader knows show to to get the most out of it. These same accounting skills can come in handy in all areas of life. When you trade well, you do everything you can never to lose money. This in turn can teach you how to save while you are paying your bills, shopping for groceries, and taking care of other aspects of your life. A responsible, thrifty spender can build a profitable future. If you are trading for a living, you can earn more and more money exponentially over time. You do not have that chance working a 9 to 5 job. As a 9 to 5 worker, you will be fortunate if you can afford to retire—much less help others. If you get rich trading though, you have a chance to contribute to charity or even start one of your own. You can make a real and lasting difference in the lives of people you have never even met. if you want to trade for a living. After our college days are over, a lot of us succumb to something of an intellectual vacuum. Unless your day job provides you with plenty of challenge, odds are you do not have a lot of opportunity to hone your . Binary options trading provides plenty of intellectual challenge, and hones your pattern recognition skills. This can help you keep your brain healthy now and over the long term. You may also find that you start to excel in other areas of your life when you get your brain in gear. As a binary options online trader, you will periodically benefit from the kindness of others. That’s right, that mental image many people have of the trader who cares about nothing but himself is a stereotype, and does not apply to the majority. You will encounter generosity regularly in binary options online circles, and find many people who are more than ready to share their abundance of knowledge and experiences. Eventually, you will probably want to do the same! As a binary options online trader striving for success, you are forced to learn how to overcome your own vices. You will develop , and learn to recognize your faults. Once you do, you will gain power over them, and the will to set them aside when they tempt you. As you become a more profitable trader, you will find that these self-improvements also bring you wealth in other aspects of your life. Your family and friends will appreciate that you are no longer succumbing to your faults. You will treat everyone around you better. If you truly take the art of trading seriously and , you will emerge stronger, more honest, and more determined than you were when you started. You will have the chance to not only be your best professionally, but also to share your best with everybody you meet. There is no higher contribution you can make to your own life, to the lives of those closest to you, or to society at large.